I was so excited to think it's August! I can link up to Farley's Currently. Then I went to the link up and it was already closed. Sad face. So then I decided heck! I'm going to share my August Currently anyways! So I went to the notes section of my phone to draft my post...and I realized the date was July 31st! I was attempting to link up to the 2013 August Currently! Whoops! So I had to wait another day. Then I became one of those "cray cray" people as Farley calls them who sit refreshing her site waiting for the latest Currently! There is just something nice about summarizing yourself for the month in one post. But! Then it was 4:57 and it still wasn't up. Which made me sad. Then I realized-wait! It's Friday! So I decided to link up to Five for Friday....then I checked Farley's Facebook page...and lo! There it was. And now here I am. I usually fill in my Currently using Paint or PowerPoint but this month I did something a little different: I used the app Picture This to add text to the picture. You can only add one blurb of text at a time - you can't create multiple text boxes or add spaces between lines. I had to carefully add text for one section, write my response, size and position the text in the appropriate space, then save the picture. I would then reopen the picture and add my next chunk of text. As you can see you can only fit so much text in the space before it went onto a new line - this made me choose my words carefully! It was definitely a bit of a process and I'm not sure if students would have the patience/dexterity (especially younger students that I'll be working with) to do the same. There were several times the sizing or text got messed up and I had to start all over again! This app also has drawing capabilities and is similar to Paint. The drawings can then be saved as a picture to your camera roll. I think it would be better used in this capacity as a way for students to draw a picture as a response and provide a single written caption. The picture could then be saved and printed and displayed in the classroom similar to how you would display any other drawing and written response. Now I'm actually really excited! My inner geek is coming out and I can't wait to try this with my kindergarteners! Listening - I know that's totally TMI but as I was filling it out I paused, listened, and all I could hear was me chewing my food. So thus, my answer. Loving- This picture! It made me realize how little I have gone swimming in my pool this summer! Tomorrow, I resolved I am going swimming. It's such an awesome feeling and I miss it!! Thinking - Now, I'll tell you about a dream I had last night. It started off I was in my classroom making decorations. I was creating these really big capital letters A-Z and somehow I had found the easiest way ever to color them in and I was so excited (don't ask me what my method actually was - it was one of those dreams where things just don't quite make sense). Then someone (or my internal self?) had the great idea I could use the letters as part of a 'getting to know you activity' giving each child the letter of their first name and they would do something (I think in the dream it was putting the letters on another paper and having them write next to the letter - but now that I'm awake I'm thinking it would make more sense to have the students do something on the letters since they were so large) with them. Then I realized I would have to go look at my class list because I would have to change what letters I was making (this part does not coincide with reality as next year I'll essentially be a specials teacher and I get to work with all students in the whole school - if I were to make a letter for all of them myself I would be drawing and cutting until the end of September!). Then (as in dreams) it was suddenly the first day of school and we were completing the Getting to Know You activity. Except it wasn't working that well because I had no classroom management system in place. Then I had a light bulb moment that I need to teach classroom management (at least a few key point of it) before beginning more ambitious projects with my students. When I woke up it was a light bulb moment again! I quickly grabbed my notebook and jotted down some notes. Then now as I was writing this I was wondering if it was possible to do both at the same time? For example teach the behavior skill then have them practice it while doing a very simple getting to know you activity - would that be too complicated though? When I student taught I started in January so the classroom management system was already in place and the students already knew each other and the teacher. I would love to hear other bloggers experiences. But I'm hoping I have dreams like these all the time! How awesome is it when your subconscious gives you guidance and ideas - and in your sleep no less! Wanting - On Monday I am meeting with the librarian who I will be working closely with this next year and I am so excited! I'll be able to see my work and teaching space and start getting a handle on what I can do to prepare for the year ahead. Did I mention I'm so excited!? Needing - While I was waiting for the new Currently I spent the morning pinning! It's been a while since I've pinned and it felt wonderful! 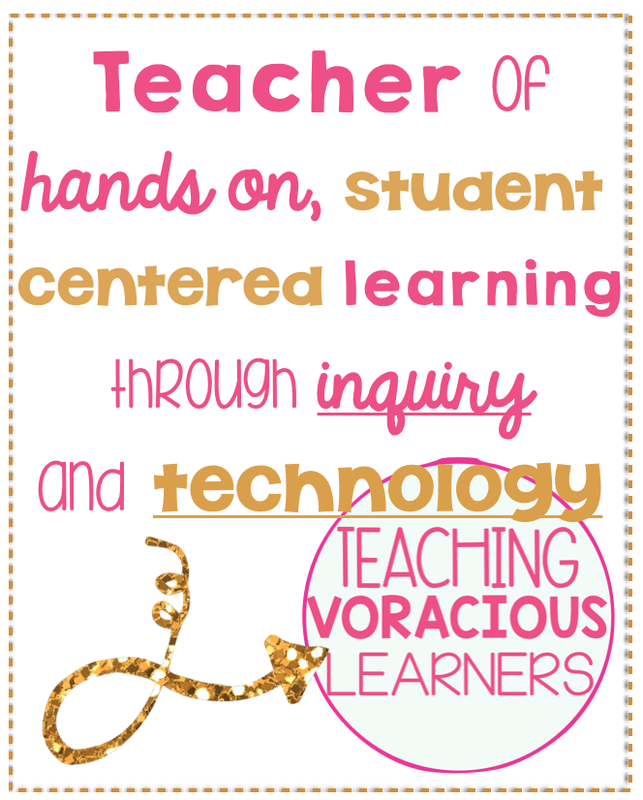 Check me out at Teach Voracious. I also pretty much repinned all of Courtney Gilreath's pins on classroom decoration! Check her out-she has loads of great ideas. But that was not what I needed to do! I also spent the morning actually finishing my masters portfolio. I know, I know. I wrote that lovely post months ago saying that I had finished it. Well I had received an email back in June from my adviser with some...suggestions... to make it stronger...or else. Okay maybe it wasn't that bad, but I was definitely bummed about having to go back to something I thought was done! Oh did I mention that I didn't read the email till yesterday and I have exactly 11 days before the university evaluates my portfolio to see whether I earned my masters degree? Oh and did I mention that my brand new sparkling job teaching technology is based on an assumption that I will officially have my degree by the time school starts? Gah! I definitely had a little breakdown then went on a run, had a good nights sleep then worked on it today. I got three of the four critiques handled and now I just have to fix one more thing. Of course, I saved the biggest item for last! Andd- My first day back is August 21st. I lied and said it was the 25th in my last post. I have new teacher training for the 21st and 22nd, then regular teacher meetings/days on the 25th and 26th, then the kiddos start on the 27th. For me, I feel like ah so soon! But I know some of you start even earlier (the 11th?! I could not be you Farley!). Happy August and Happy Friday! BTS dreams are the BeSt! I once had a dream that Amy Winehouse was subbing in my room and didn't make the kids wear their uniforms the right way - I was freaking out! As for Pinterest - that is a slippery, slippery slope for me... I have to limit my exposure; I so easily get caught up in that vortex - I have a hard time getting out! Currentlys are my fav post of the month! Thanks for sharing yours this year - love your blog! Ha! That is an awesome BTS dream! It reminds me of an article that was in Glamour a couple years ago about What if Lady Gaga became a teacher! Oh no! When I start having school dreams I know it means I need to take a break! Thank you! 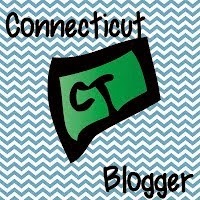 I love your blog name Erin! Very cute! Good luck with setting up your classroom. How exciting! Pinterest ideas are the best. Thank you! I'm going in tomorrow for the first time and I'm very excited!! I love the monthly Currently linky party too! (I must confess, that I did check her page a few times throughout the day so I could post my Currently for August!) I just absolutely love the 1st of the month and completing my Currently post! I hope you get to visit your classroom soon....I'm anxious as well to see my space for this school year! I'm the director at a before/after school program, and we found out at the end of the year last year, that our space will change for this year -- and I'm still waiting to find out where it will be!! Good luck with your BASP! Hopefully you will end up with the perfect space!